Includes: One Pair of 4" Red and Black Vampiress Heels. Available Size: Womens - Size 7, Womens - Size 8, Womens - Size 9. Superior quality, enticing designs, and a dedication to customers surpassed by no one. These are the ideals that have propelled Ellie shoes to the elite of the exotic shoe industry and earned feature spots in "W" and Stuff magazines. 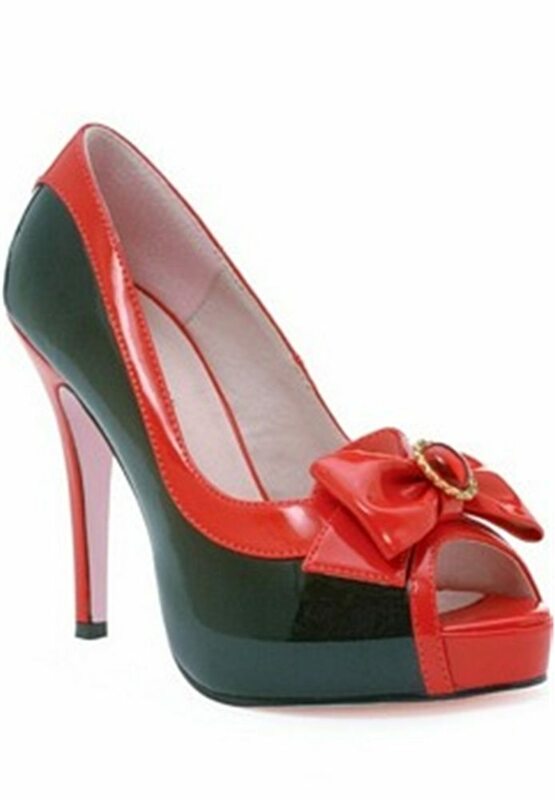 Leg Avenue Costume Shoes by Ellie Shoes available in Elegant Red.